OTT’s year-long celebration includes the ninth Celebration of Innovation and Technology on Wednesday, March 4 from 5-6:30 p.m. The celebration will be held at the Emory Conference Center, Silver Bell Pavilion, with registration beginning at 4:30 p.m. This year’s keynote speaker is Timothy R. Holbrook, associate dean of faculty and professor in the Emory School of Law. Clearside Biomedical is an Emory/Georgia Tech startup founded in 2012 focused on treatments for chronic, blinding eye diseases, especially those associated with macular edema. Clearside’s proprietary micro-injector is used to deliver the drugs directly to the retina, improving effectiveness while reducing side effects. The company has received funding from the Georgia Research Alliance as well as more than $28 million in venture capital funding. Their lead product is in a phase III clinical trial. Cambium is an early stage company focused on developing therapies from expired blood products. In 2014 Cambium licensed Emory-developed technology for processing donated platelets to capture growth factors that are rich in pro-regenerative and anti-inflammatory factors. This product could be used in the laboratory to stimulate growth of cell culture lines and to enhance expansion of cells for cell transplants. As a direct therapy, the product can also be applied to tissues to heal and repair. The company’s first clinical application is a product for treating dry eye syndrome. Researchers are using their knowledge about a brain pathway involved in the abnormal fear response associated with PTSD to develop a potential new therapy based on an existing drug. They believe inhibiting the neurokinin 3 receptor (Nk3R) pathway – involved in the abnormal fear response associated with PTSD -- could serve as a powerful treatment for PTSD and other anxiety disorders. Although the drug osanetant, a known Nk3R antagonist, was not proven effective in treating schizophrenia, the Emory research team found that it decreased fear expression in fear-conditioned mice. They believe this osanetant could prove to be a safe medication for treating PTSD and perhaps other anxiety disorders. Founded at Emory in 2005, Velocity Medical Solutions developed an advanced multi-modality imaging platform – Velocity AI – built for oncology-focused radiation treatment planning. Velocity AI can blend cancer images into one high-quality, 3-D visual that provides a better look at a tumor’s actual boundaries. In 2014 Varian Medical Systems acquired Velocity AI from Velocity Medical Solutions. The software is already in use at over 200 cancer treatment centers worldwide. To RSVP, go to htp://goo.gl/NKLdEG, and for questions, contact Ashley Myers, aemyers@emory.edu, 404-727-1785. Throughout 2015 Emory University and its Office of Technology Transfer (OTT) are celebrating 30 years of guiding innovative discoveries from the laboratory with the ultimate goal of creating commercial products. Emory's OTT, which had humble beginnings 30 years ago as part of the Office of Sponsored Programs, now includes a 17-member staff that not only guides inventors through the complex process of technology transfer, but also works to increase the value of inventions and reduce the risk they may falter along the path to development. OTT's robust product pipeline currently includes 39 products in the marketplace and 13 more in various stages of testing and development. In addition to licensing inventions to established companies, OTT also spins out an average of three to six new companies per year based on university discoveries, with 72 total companies created overall and 53 still active. 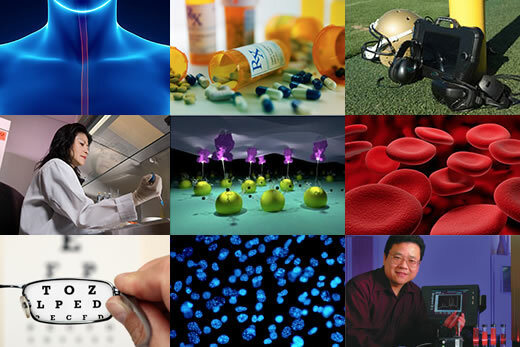 From discovering anti-tumor compounds, to developing new drugs to treat hepatitis C, tuberculosis or Parkinson's disease, to creating safe and effective HIV vaccines, to inventing devices to improve heart surgery, Emory start-ups demonstrate daily the impact of academic research. The direct financial results of tech transfer – royalties and equity – benefit both the inventors and the university. Emory uses its portion of those funds -- $845 million in licensing revenue thus far -- to support additional research and science education. A recent survey of Emory's startups demonstrates their wide-ranging economic impact in public and private investment, jobs, and products created. "When the Bayh-Dole Act was passed in 1980 by the federal government, technology transfer was just an experiment," notes Todd Sherer, PhD, executive director of OTT and associate vice president for research. "The theory was that a lot of innovation was coming out of federally funded research, but it was all owned by the government and 'sitting on the shelf.' So the country embarked upon a pretty novel approach to put ownership of these innovations in the hands of the university, and that birthed the profession of technology transfer." • Neuronetics, an Emory startup founded in 2003 based on the NeuroStar TMS System® for the treatment of depression. It is the only company to have an FDA approved (2008) non-invasive treatment for depression in patients who have not benefited from other treatments. The company has received venture capital funding of more than $128 million. The Emory inventor is Charles Epstein, MD. • Pharmasset, Inc. was founded in 1998 as a clinical-stage pharmaceutical company focused on developing new drugs to treat Hepatitis C virus. Pharmasset was acquired by Gilead Sciences in January 2012 for approximately $11 billion. In 2013 the FDA approved Gilead's drug Sovaldi for chronic hepatitis C virus infection. Pharmasset's founders are Dennis Liotta, PhD, and Raymond Schinazi, PhD. • QUE Oncology is a start-up formed in 2013 through a partnership between Emory University and UniQuest, the University of Queensland's research commercialization company. The company's focus is on discovery of new drugs to treat cancer and the side effects of cancer treatment. The lead product, licensed from Emory and in a Phase I clinical trial, is a drug for hot flashes in women receiving anti-estrogen treatments for breast cancer. The company has received GRA funding. The Emory inventor is Dennis Liotta. • Syntermed is an Atlanta-based nuclear medicine imaging and informatics software company founded in1999. The company's lead product is a software package called Emory Cardiac ToolboxTM. This product is used in nearly half of all nuclear medicine labs nationwide to process, display, interpret and analyze cardiac positron emission tomography (PET) and single-photon computed tomography (SPECT) images. By displaying three-dimensional images of the patient's heart, the Toolbox allows physicians to see whether or not blood is flowing to all areas of the myocardium and can determine the heart's efficiency. The Emory inventor is Ernest Garcia. • Triangle Pharmaceuticals, which licensed FTC (emtricitabine) from Emory in 1996 and was purchased by Gilead Sciences in 2002 for $464 million. Gilead currently has six drugs on the market that contain FTC (marketed as Emtriva®), five of which are combination therapies. In 2006 the FDA approved Atripla as the first once-a-day, single tablet regimen for HIV. In 2012 the FDA approved the use of Truvada, a combination therapy, by uninfected people at high risk for HIV as a prophylactic. Truvada was the first HIV drug approved for preventive use. The Emory inventors are Dennis Liotta, PhD, and Raymond Schinazi, PhD. • Virtually Better, Inc., an Emory/Georgia Tech startup founded in 1998 that develops virtual reality treatments for anxiety disorders such as fear of flying and public speaking, and for post-traumatic stress disorder (PTSD). The Emory inventor is Barbara Rothbaum, PhD. OTT's website will have new information throughout 2015 highlighting tech transfer accomplishments. Currently a 30-year timeline chronicles Emory tech transfer. Website visitors may also try their hand at the quiz "Thirty Things You Didn't Know about OTT. "Throughout 2015 OTT will continue to offer monthly blog posts, Twitter highlights (#OTT30), and Facebook updates on important facts and tech transfer breakthroughs.